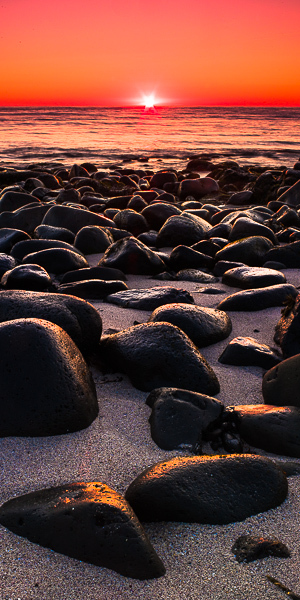 Rocks rest along the shores catching the last light of the day and enjoy the cleansing of ocean waters. The summer sun of Iceland sets for a brief moment before rising again. Photo © copyright by Lance B. Carter.